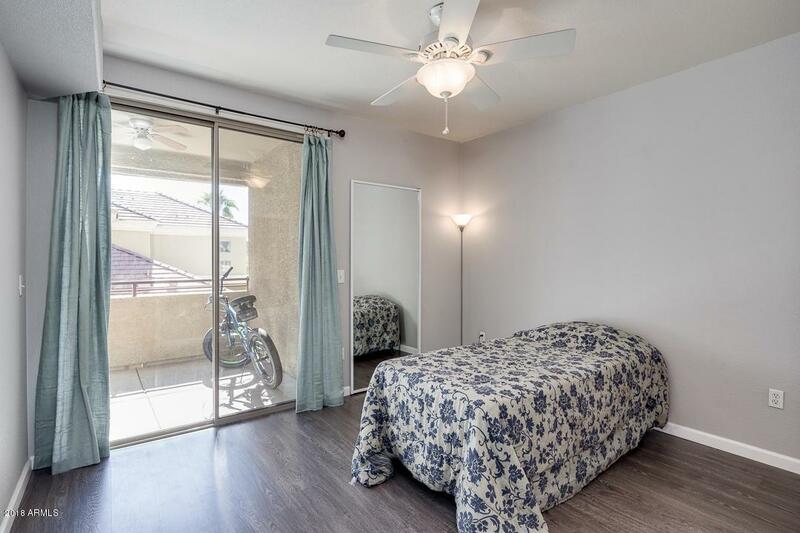 Incredible 1 bed, 1 bath condo is now available in the beautiful gated community of Villas at Union Hills in Phoenix! Enjoy the peaceful pool view from your 2nd floor balcony or relax inside your recently updated sanctuary. 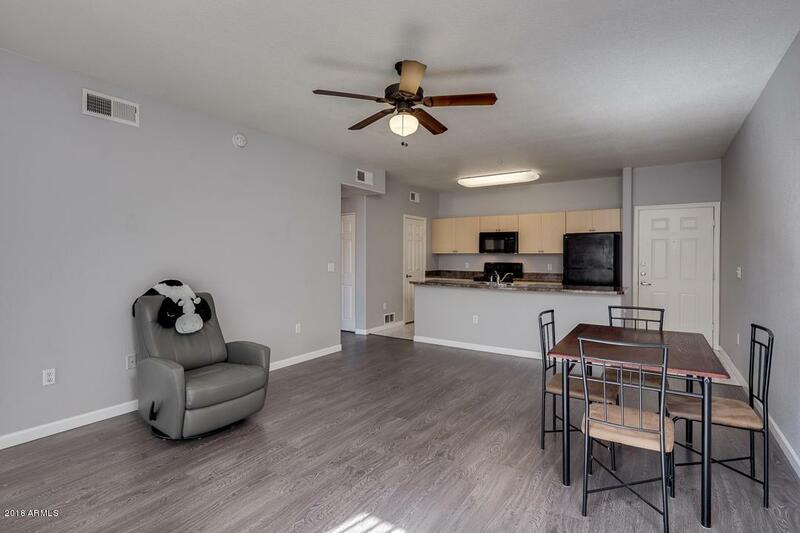 You will absolutely love the fabulous interior complete with newer grey wood laminate floors throughout the living areas with stylish 20'' tile imported from Brazil in the kitchen and bath. 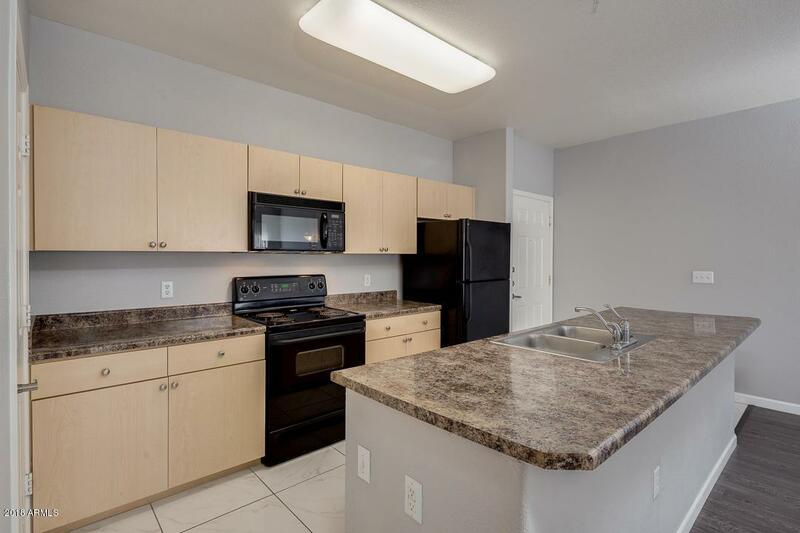 Well maintained kitchen includes ample cabinetry, large island with centered sink and breakfast bar, and black matching appliances. 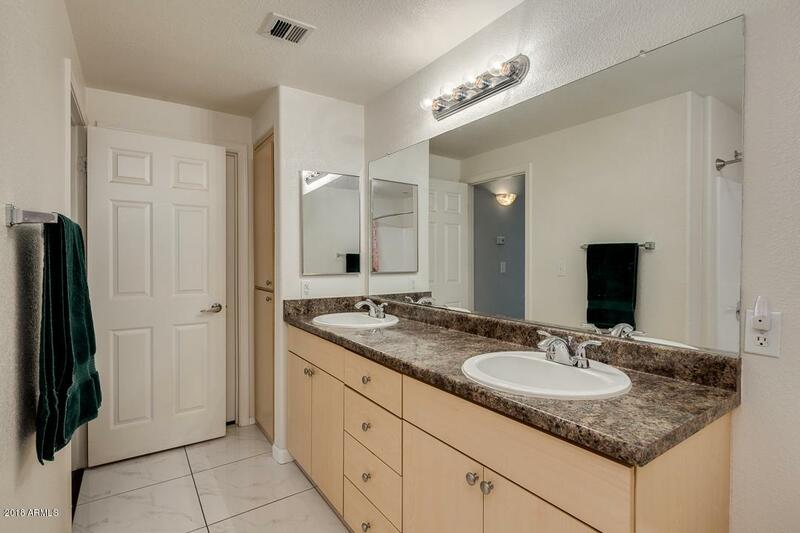 Inside the master suite you will find a private exit to balcony and spacious bath w/dual sinks. Newer paint, water heater, fixtures, garbage disposal, and tub resurface. Refrigerator, washer and dryer convey with unit. Very clean and move-in ready!